Nepal Tibet overland Tours starts in Kathmandu, after few days city tour of Kathmandu and completion of Tibet visa process drive to border through friendship highway. It is overland tours both in Nepal and Tibet, you are going to be one week in Tibet, explore the high Himalayas, ancient town of Lhasa, Potala palace, Tibetans culture and history with our top guides. Nepal and Tibet the Highest land on the earth, Both countries called together as Himalayan kingdom , Kathmandu and Lhasa are most commonly visited as a two weeks tours. This Nepal Tibet overland Tours is starting and ending in Kathmandu, Kathmandu is the entering points to Himalayan Region. Nepal and Tibet Tour leads us through high valleys, traditional Villages and high spectacular. Explore the mountain Villages. On the way to the Lhasa we pass Buddhist monasteries with the views of Himalayas getting closer every day. Best time to visit this trip is April till October due to weather in high altitude. We process Tibet, China visa with original passport, it is 2 full working days task. Need to arrive in Kathmandu in good time of the week, like if you arrive between Sunday – Tuesday visa will be ready on timely schedule without loosing extra days. If you arrive on Friday we need to wait until Monday to apply. On the Tibet visa form need to mention all the information correctly in CAPITAL letters. We can do Tibet overland tour from Kathmandu or Lhasa all around the year except February and March. Tibet overland small group tour starts every Saturday, and private tour starts everyday. After arrival in Kathmandu pick up and transfer to hotel. Short tour of monkey temple Swyambhunath Stupa over 2600 years old. After breakfast in the hotel , Early morning scenic drive through the typically beautiful Nepalese country side to Kodari (Nepal – Tibet border), on arrival at Kodari you will go through the immigration formalities in Nepal Immigration and check into the Chinese side for Chinese immigration formalities and drive to Zhangmu and further to Nyalam. Kerung–Tingri (4350M), 244km, approx drive 07-08 hrs. Day drive to the highest plateau of the world with typical landscape offering the sheer feeling of being on the roof of the world crossing over the 5,050 meters LALUNGA pass, from where you can view the breathtaking mountain range from Mt.Cho Oyu (8,201m) to Mt.Xishapagma ( 8,012m) dwarfed by the vastness of Tibetan plateau (if weather permits). One can also take a magnificent view of Mt. Everest (8,848m) from Tingri/ Lhatse. 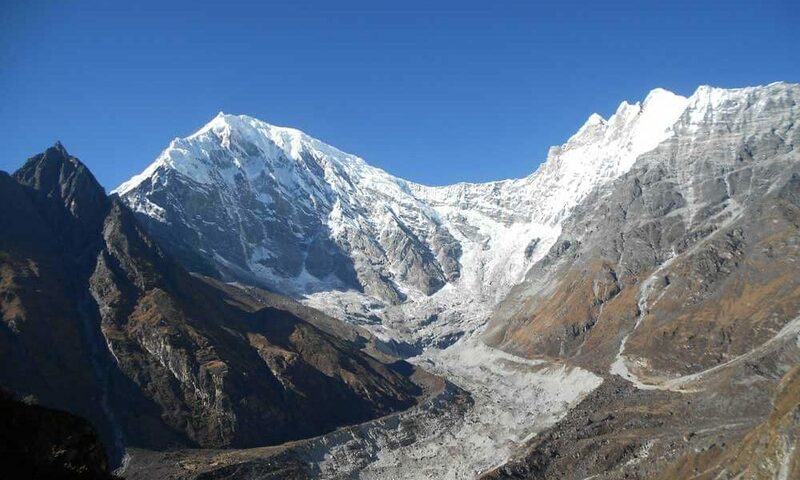 Tingri /Lhatse – Sigatse (3,900M), 244km, approx 06-08 hrs drive. Scenic drive through the highest point, Gyatchu La pass (5,220m) en route to Lhasa via Latse. Morning site seeing to the Panchen Lama’s Tashilumpu Monastery. Drive through the Tibet’s biggest Agricultural field to Gyantse and visit to the Kumbum Stupa & Palkor Monastery. Gyante – Lhasa (3650m):261 km. Full day picturesque drive along the turquoise lake Yamadrok, crossing over Kampala Pass (4794M) and the Brahma Putra river (Yarlung Tsangpo). Early morning drive to Gongaar airport for departure flight to your on ward destination. Kathmandu-Lhasa- Kathmandu flight operates everyday.